Witold Gombrowicz. Gombrowicz, Witold, photograph. © Jerry Bauer. Reproduced by permission. Witold Gombrowicz has been widely recognized as an important figure in twentieth-century Polish literature and is one of the most original and influential of European novelists, playwrights, and essayists of his time. His works, despite the extraordinary degree of technical difficulty involved in the process of their translation, have been rendered into all major languages and published or staged worldwide. Privileged Beginnings. Gombrowicz was born on August 4, 1904, to proprietor and industrialist Jan Onufry Gombrowicz and Antonina nee Kotkowski, in his parents’ country manor located in the village of Maloszyce in what once was and would be again central Poland. (While Poland had existed as a country, it had been physically divided by the Austrian, Prussian, and Russian empires in 1795. Poles retained their cultural unity despite lack of a political entity.) The youngest of four children, Gombrowicz was usually the most rebellious and undisciplined of them. His early years in the rural provinces, with their time-honored rituals of country life and social hierarchy, offered him much to rebel against. He would later exaggerate his family’s pretenses and snobbery in his prose. Studied Law in Warsaw. In 1911, his family moved to Warsaw, where Gombrowicz was to receive his education. While he attended high school, Poland saw much of its traditional territory restored and received its full independence at the end of World War I, an international conflict that saw 30 million causalities. After graduating from high school, he reluctantly gave in to his father’s wish and in 1922 began to study law at Warsaw University. He earned his degree in 1927 and left for France, where he spent a year mostly continuing his studies at the Institut des Hautes Etudes Internationales. Upon returning to Poland, he worked for a while as a legal apprentice in Warsaw courts, but he never applied himself seriously enough to really pursue a career as a lawyer. Instead, he began to devote himself entirely to writing. Literary Debut. In 1933, Gombrowicz made his literary debut by publishing a collection of short stories under the deliberately odd title Memoirs Written in Puberty. Though this first work was considered somewhat immature, by the mid 1930s he was enjoying moderate fame as a colorful personality and fascinating interlocutor as well as an insightful literary critic. He even had his ‘‘own’’ table in the exclusive literary cafe Ziemiaiiska. It was, however, his first novel, Ferdydurke, that became a genuine event in Polish literary life. Published in 1938, it instantly prompted attacks by both extreme right- and extreme left-wing critics who often engaged in heated critical debates about avant-garde tendencies in modern Polish fiction. Polish Literary Career Interrupted by World War II. Before World War II, Gombrowicz also published his first play, Ivona, Princess of Burgundia (1938) in the leading literary monthly, Skamander. The outbreak of war on September 1, 1939, interrupted a serialized publication in a Warsaw tabloid of his parody of a Gothic romance, Possessed, which was never resumed. On that day, Nazi Germany invaded Poland. Germany, led by Adolf Hitler, had territorial ambitions and had already been allowed to take over parts of Czechoslovakia. Germany’s invasion of Poland compelled Great Britain and France to declare war on Germany, thus officially beginning World War II. As the last installments of Possessed were being printed, however, Gombrowicz was already in Buenos Aires. Only a few weeks before the German invasion of Poland, he had boarded the transatlantic liner Boleslaw Chrobry as a participant on a trip to Argentina of a small group of young Polish literati, sponsored by the shipping company Gdynia-American Lines. While in Buenos Aires, he learned about the outbreak of war and, being unfit for military service anyway, decided not to return. Gombrowicz did not foresee that the capital of Argentina would remain his home for the next quarter of a century. At the time of his arrival, Argentina was ruled by a conservative oligarchy backed by the military, which was officially neutral but unofficially sympathetic to the Axis Powers led by Germany. After a regime change in 1943, Argentina was even more friendly to the Axis group. When Juan Domingo Peron was elected president of Argentina in 1946, he reportedly allowed a number of Nazi German leaders to hide in Argentina after the war. Life in Buenos Aires. Gombrowicz’s first Argentinian years satisfied his need for solitary independence devoid of any ties or obligations. But they were also extremely difficult in terms of financial insecurity. Initially, the only source of income available to him was the articles he published sporadically in the local press. To make ends meet, he had to accept whatever job was available. Thus, in 1943 and 1944 he worked at the archive of the periodical Jezuitor Solidaridad, and in 1947, he took a seemingly better but in fact equally poorly paid job as a secretary in a Polish bank, Banco Polaco, in Buenos Aires. Challenged Literary Efforts. At the same time, Gombrowicz continued his writing with great determination and made numerous friends in Argentinian literary circles. Most of these friends were younger writers, some of whom eventually helped him translate his works into Spanish. During the 1940s, he was more likely to find some spiritual support among those Argentinian friends than among members of the Polish emigre community. These people remained put off, if not downright antagonized, by what they considered to be irreverent mockery and a general ‘‘lack of seriousness” in his writing. Greater Fame with Postwar Novels. Such charges came at Gombrowicz with increasing frequency and aggressiveness after he became more visible as a writer— thanks to his entering in 1951 into steady collaboration with the Paris-based emigre monthly Kultura. The consecutive installments of his Diary, 1953-1956 began to appear on the pages of that periodical in 1953, and it was within the book series published by Kultura that most of his postwar works came out in book form. Also appearing in 1953 were his second novel, Trans-Atlantic, and his second play, The Marriage. One of the frequent contributors to Kultura, the critic Konstanty A. Jeleriski, helped Gombrowicz enormously by promoting his works in Europe and translating them into French. Living in West Berlin, Blacklisted in Poland. In 1955, Gombrowicz quit his job at Banco Polaco. For a while, he tried to support himself with grants, royalties for his published and staged works, and the modest income he earned by giving private lectures on philosophy. The year 1958 marked the beginning of his serious respiratory problems, which would be the cause of his death eleven years later. In 1963, he received a grant from the Ford Foundation for a one-year stay in West Berlin, and in April of that year he left Argentina. West Berlin was technically in Communist-controlled East Germany; however, the city was divided after the end of World War II, and the western part of the city was technically under the control of the Western Allies in the war: the United States, Great Britain, and France. 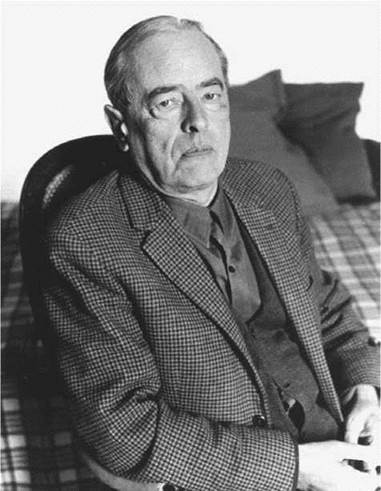 While in Berlin, Gombrowicz consented to give an interview to a Polish journalist in which he expressed sincerely his views on many touchy political subjects. Published subsequently in Poland along with a scathing commentary by his interviewer, his statements were met with a hostile campaign by the Communist media. As a result, no book by Gombrowicz was allowed to be published in Poland until his death. A Brief Happiness. In May 1964, Gombrowicz moved from Germany to France. During his stay at the Royaumont Abbey as a guest of the Circle Culturel of the Royaumont Foundation, he met Rita Labrosse, a young Canadian specialist in Romance literature. Labrosse became his companion and, in December 1968, his wife. In the fall of 1964 the couple settled in the small town of Vence in southern France. The last years of Gombrowicz’s life were marked by his rapidly growing international fame but deteriorating health. He published his last novel, Cosmos in 1965. Gombrowicz died July 24, 1969, in Vence after a long illness. In the 1970s, the Communist authorities—who had taken charge of Poland after World War II as the Soviet Union was in control of Eastern Europe, forming the so- called Iron Curtain—were ready to relent and lift the publishing ban, but the writer’s last will thwarted their designs to publish severely abridged editions. In his will, Gombrowicz stated that his work could be published in Poland only in its entirety—that is, without censorship cuts. Throughout the 1970s and 1980s, Gombrowicz’s books were read widely in Poland, but thanks only to the clandestine circulation of their emigre editions and underground reprints. Josip Broz Tito (1892-1980): Leader of the antifascist resistance in Yugoslavia during World War I, then president of Yugoslavia until his death in 1980. Though Yugoslavia was a socialist country, Tito broke off relations with the Soviet Union and founded the Non- Aligned Movement, a group of nations that considered itself aligned with neither the Soviet Union nor the United States. Jorge Luis Borges (1899-1986): Native of Buenos Aires, Argentina, and writer of essays and short stories known for their complexity, intellectual brilliance, and postmodernism. Christopher Isherwood (1904-1986): The English-born American novelist who was one of the first openly gay novelists to attract a wide readership. His books include A Single Man (1964). Pablo Neruda (1904-1973): The Chilean author and Communist politician. His winning the Nobel Prize for Literature in 1971 created quite a stir because of his political leanings. He is the author of Twenty Poems of Love and a Song of Despair (1924). B. F. Skinner (1904-1990): An American psychologist who made a great impact on his field of study with his theories on operant conditioning. Hamlet (1599-1601), a play by William Shakespeare. In this ultimate tragedy, the profound influence of the characters on each other's sanity is immeasurable. Hedda Gabler (1890), a play by Henrik Ibsen. In this nineteenth-century drama, Gabler gets entangled with the business of others and manipulates those around her to the point where she causes her own demise. A Streetcar Named Desire (1947), a play by Tennessee Williams. In this critically acclaimed drama, an aging southern belle and her working-class brother-in-law get entangled until one is driven to the brink of madness. While living in Poland, Argentina, West Berlin, and France, Gombrowicz came into contact with many intellectual and literary ideas. He was profoundly influenced by philosophical ideas and was an early proponent of existentialism. While themes of human interdependence can be found in both his novels and plays, his dramas are regarded as part of the Theater of the Absurd. The Theater of the Absurd was popular during the 1950s and 1960s, had its origins in France, and explored the idea that the human condition is essentially meaningless. The Influence of Philosophy. Philosophy—especially existential philosophy—had a profound impact on Gombrowicz’s work. In A Guide to Philosophy in Six Hours and Fifteen Minutes (1995), he states, ‘‘Philosophy is needed for a global view of culture. It is important for writers.’’ Before he had read Jean-Paul Sartre’s Being and Nothingness, his own writing anticipated the existentialist movement—which is primarily concerned with human essence, being, or identity and human will and choice. After Gombrowicz read the French philosopher’s work, he highlighted Sartre’s statement: ‘‘Consciousness is, so to speak, outside of me.’’ In response, he said, ‘‘When I read that in Being and Nothingness, I shouted with enthusiasm, since it is precisely the notion of man which creates form and which cannot really be authentic.’’ It was this notion of the self, in conflict with a society that makes expectations, that provided the theme for much of his work. Themes of Human Interdependence. A central concern in Gombrowicz’s prose is also the interdependence of human beings, or what he termed the ‘‘interhuman church.’’ This philosophy reflects his belief that man has no essence of his own; his identity depends upon and is determined by the society around him and on their actions and reactions. Most of Gombrowicz’s plays explore concerns similar to those of his prose works. In Ivona, Princess of Burgundia (1957), for example, the fiancee of a prince provokes chaos in a fairytale kingdom when her shyness and lack of social graces prohibit her from responding in the expected manner to members of the royal court. Dual Plots in the Theater of the Absurd. Gombrowicz’s dramas are usually associated with the Theater of the Absurd because of their black humor, bizarre situations, nonsensical dialogue, and disjointed structure. Accordingly, two basic models of fictional plot coexist in his works. In the model of an investigation, reality appears to the narrator/protagonist as a problem to solve. In the model of stage-setting, the narrator/protagonist becomes an active manipulator of reality. Gombrowicz’s writing has met with an extremely wide range of criticism. Nevertheless, from his first work, Gombrowicz quickly won recognition in the circles of younger writers. His collection of short stories, Memoirs Written in Puberty (1933), garnered critical reaction that was rather discouraging, while his three-volume Diary (1957), has been hailed by many critics as the single most important Polish book of nonfiction in the twentieth century. Gombrowicz’s sense of the absurd fared much better, for his readers in Poland, where the publication between 1957 and 1958 of Ferdydurke, Ivona, Trans-Atlantic, The Marriage, and Bakakaj turned him into a cultural idol of many young critics and readers. 1. Students interested in the connection between the administration of Argentina’s Juan Peron and the former leaders of the Third Reich will be interested in reading The Real Odessa: Smuggling the Nazis to Peron’s Argentina (2003) by Uki Goni. 2. Given the theme of Gombrowicz’s ‘‘interhuman church,’’ conduct a brief debate with peers. One side will argue the pros of interdependence and one side will argue the cons. The group may decide to argue a specific relationship, such as a family, or to argue a global relationship, such as two countries dependent upon each other. 3. Gombrowicz’s novel Ferdydurke features a protagonist who undergoes an unexplainable physical transformation. In this respect, the novel is similar to other modernist masterworks such as Franz Kafka’s ‘‘Metamorphosis’’ and Eugene Ionesco’s Rhinoceros. After reading Ferdydurke, write a paper comparing the transformation in that novel to the transformations in ‘‘Metamorphosis’’ and Rhinoceros. What points are the authors able to make by giving their characters unstable identities? What new perspectives are they able to achieve? Gombrowicz, Witold. A Guide to Philosophy in Six Hours and Fifteen Minutes. New Haven, Conn.: Yale University Press, 1994. Kurczaba, Alex. Gombrowicz and Frisch: Aspects of the Literary Diary. Bonn, Germany: Bouvier, 1980. Ziarek, Ewa Plonowska, ed. Gombrowicz’s Grimaces: Modernism, Gender, Nationality. Albany: State University of New York Press, 1998. Irwin, Michael. ‘‘Gothic Remains.’’ Times Literary Supplement, April 25, 1980, p. 463. Kurczaba, Alex. ‘‘The Impact of Latin-American Exile on Polish and German Literature: The Case of Witold Gombrowicz and Anna Seghers.’’ Polish Review 23, no. 4 (1978): 58-65. Morrison, Blake. ‘‘High Seas of Passion,’’ Observer (London), April 6, 1980, p. 39. Ross, Rochelle H. ‘‘Witold Gombrowicz—an Experimental Novelist.’’ South Central Bulletin 31 (1971): 214-16. Sandauer, Artur. ‘‘Witold Gombrowicz: The Man and the Writer.’’ Polish Perspectives22, no. 1 (1978): 30-48. Thompson, Ewa. A review of Possessed. World Literature Today 56, no. 3 (Summer 1982): 539. Adam Mickiewicz Institute. Polish Culture Profiles: Witold Gombrowicz. Retrieved March 25, 2008, from http://www.culture.pl/en/culture/artykuly/os_gombrowicz_witold . Yale University Beinecke Library. The World of Witold Gombrowicz: A Centenary Exhibit. Retrieved March 25, 2008, from http://beinecke.library.yale.edu/gombrowicz/.